Lucky 7 Koi Productions proudly presents POWERHOUSE 2. Featuring ERIK SANTOS. 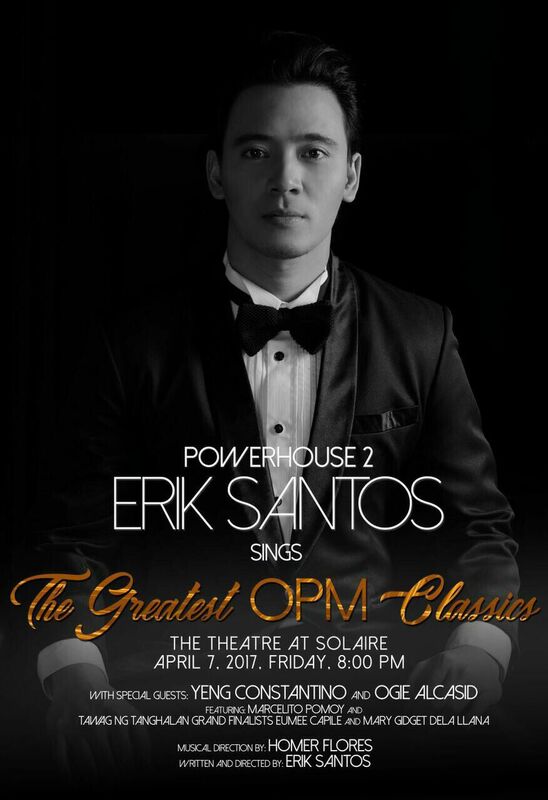 Singing the Greatest OPM Classics. 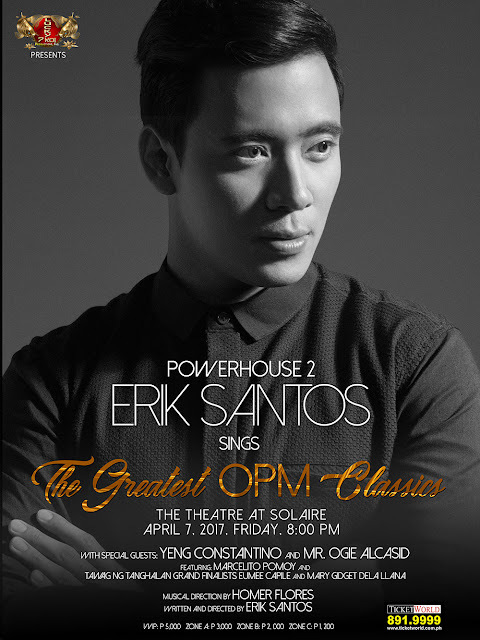 With special guests YENG CONSTANTINO and OGIE ALCASID. Also featuring Marcelino Pomoy and Tawag ng Tanghalan Grand Finalists Elmie Caple and Mary Gidget dela Llana. Share this info with friends!